Johor Bahru was once listed as one of the top ten most affordable cities in Asia to work in by the Nomad List in 2016, though it has recently been ranked much lower at 55th position. Though we aren’t sure of the reason behind this significant fall, one thing is for sure: inflation is beating Malaysians at its best this year. 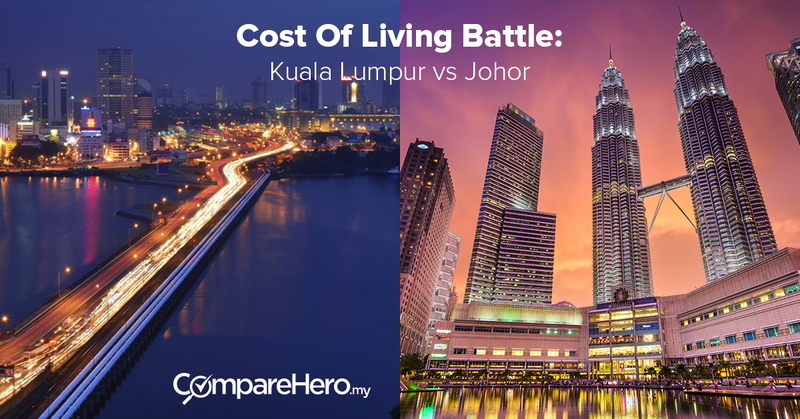 If you have been wondering about the difference in the cost of living in Johor and Kuala Lumpur, you should take a look at the in-depth analysis of components to compare the cost of living between both cities (based on findings by Numbeo) below.